Honolulu (2-10-15)––A “PharmaMedia” propaganda blitz is defrauding health professionals and consumers alike, but killing children by promoting vaccination intoxication as fear of the Disneyland measles “outbreak” is spun to target naturalists labeled “radicalizers” by the National Security Agency. Edward Snowden’s leaked intelligence best explains this time in history wherein people who simply choose to live freely and wisely, according to natural laws, are increasingly being treated like enemies-of-state. Dr. Horowitz is the author of seventeen books, an expert in emerging diseases, with five documentary films to his credit, and a Harvard degree in behavioral science focused on “media persuasion and healthy human development.” His common sense analysis of Edward Snowden’s leaked intelligence covers the “covert actions” of National Security Agency (NSA) and Central Intelligence Agency (CIA) pro-vaccine propagandists. His analysis is shocking, but honest and well-evidenced. According to Dr. Horowitz’s evidence, this latest transparent deception sourcing from, supposedly, Disneyland, is as another in a series of “false flag,” likely laboratory-loosed, “outbreaks.” But this one appears to have been schemed to put the heat on Congress to restrict American’s First Amendment rights to life, liberty, and the pursuant of happiness. 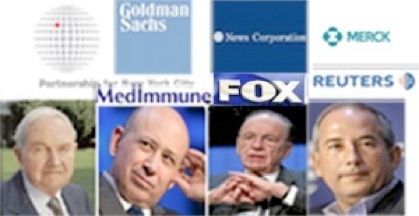 According to Dr. Horowitz’s quarter century of studies, federal agents, especially those at the CIA admittedly controlling the U.S. Centers for Disease Control (CDC) and the National Institute for Allergies and Infectious Diseases (NIAID) are complicit with Big Pharma in exploiting people through fear-based messages driving sales and fueling lobbyists to influence public attitudes and Congressional reactions to aid-and-abet “GENOCIDE”–profitable depopulation through toxic vaccinations. “National security” investments in media-persuasion for social engineering to profit BigPharma’s monopoly over health care in general, not simply medicine, have become outrageous, transparent and incessant. So much suspicious or clearly fraudulent hype is being broadcast, that people worldwide are finally awakening to the risks of death and debilitating diseases caused by following experts’ advice issued by the PharmaMedia. Their prescriptions are obviously scripted by a criminal enterprise that is clearly an anti-trust monopoly over the way We The People are being forced to think, poison our babies, accept laboratory-loosed plagues, and consume magic potions generating catastrophic side effects profiting the drug cartel and pleasing investors, the wealthiest being global depopulationists, according to Dr. Horowitz’s evidence and expertise. “The PharmaMedia is now smearing America’s smartest parents–those who are better educated, read more and research more to discern the crime and fraud in intoxicating healthy infants and children with risky injections, misrepresented as “immunizations,” to supposedly develop ‘herd immunity’,” asserts Dr. Horowitz. “That is one more reason to stop watching television and cancel your mainstream news subscriptions,” Dr. Horowitz continued, scoffing at the main concept being promoted–that of developing “herd immunity” across America, allegedly to protect vaccinated children against those not vaccinated by better informed parents. Dr. Horowitz points to the deadly media persuasion broadcast by National Public Radio’s Morning Edition (on Feb. 4, 2015), that categorically smeared “breast feeding mothers” to cause them to be publicly ridiculed. 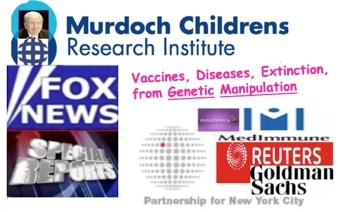 This criminal broadcast, exposing the purported “listener supported” “public radio” network, is “menacingly-administered by bribed broadcasters defrauding consumers to sell Big Pharma’s bloodiest lies, disease inducers, and population reducers,” Dr. Horowitz observed. 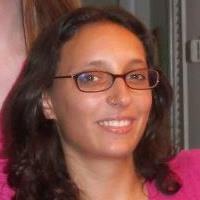 The NPR example featured an alleged “ghost writer” named Juniper Russo, who bragged on her blog about the awards she won from Yahoo, a company controlled by The Vanguard Group. Russo audaciously identified herself with a community composed of “crunchy moms” who distrust mainstream medicine. What’s wrong with that picture? Classic hypocrisy! “There are plenty of other communities with subgroups that reject vaccination for other reasons,” David Ropeik, NPR’s expert, noted. “There’s conservatism: I don’t like government butting in. There’s libertarianism: Leave me alone, I want to decide for myself. There’s environmentalism, [and] there’s religion,” Ropeik said. But Ropeik neglects the community of millions of people who put their faith in the “experts,” only to have their “immunized” families suffer one or more of the dozens of vaccine-triggered autoimmune diseases, multiple cancers, and deadly hospital visits “covered” under policies issued by “Vanguard HealthCare’s” most profitable investments. Some people in Congress, however, are not so easily hoodwinked. Kentucky medical doctor and libertarian Senator Rand Paul acknowledged “many tragic cases of walking, talking, normal children who wound up with profound mental disorders after vaccines.” The senator said parents should have some choice in deciding whether to vaccinate their children. “There is the sense that the diseases are largely gone, so why take even a small risk for no benefit?” the NPR article quoted Ropeik, and then retorted with a link to its “Science Denialism Has Consequences” blog. “Now that sort of thinking is getting harder to justify because ‘the diseases are back,'” Ropeik said, albeit with huge gaps in his intelligence and NPR’s ethics. If the diseases went anywhere, they disappeared down the drain with improved hygiene, or were executed by white blood cell body guards fueled by good nutrition. 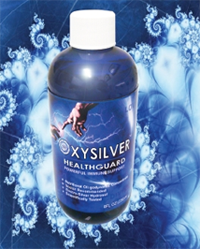 Curiously, infectious diseases disappeared from the European “blue bloods” courtesy of the real silverware they used to eat and drink, ingesting small amounts of the anti-biotic “colloidal silver” in the process. The propaganda “helped generate a huge amount of publicity for this outbreak, even though it’s still much smaller than an outbreak centered in Ohio that occurred just last year,” NPR quoted Ropeik with emphasis added. Since when does an “outbreak” cause drug industrialists to generate publicity? Daahhh, . . . Repeatedly! There was the anthrax mailings, AIDS, Ebola, SARS, “Swine Flu,” H1N1, and threatened H5N1. Drug industrialists “generate a huge amount of publicity for [their] outbreaks” and investors, several times a year. Otherwise, without fear and consumer fraud, BigPharma might lose their “market share,” and people would awaken from their trance state, leave Fantasyland and enter Tomorrowland. “And it’s got some former vaccine skeptics thinking that perhaps diseases do pose a greater risk than vaccines,” Ropeik opined, evidencing the counter-intelligence PSYOPS. What is a PSYOPS? A media advertising and persuasion strategy; a defense scheme whenever serious uncontrollable damage is being done to the status quo multinational corporate enterprise by so-called “radicalizers.” Mix everything up, every message, belief, attitude, and public action. Confuse every issue, divert from what is really ongoing–in this case, a criminal cartel imposed genocide administered for power and profit over people. 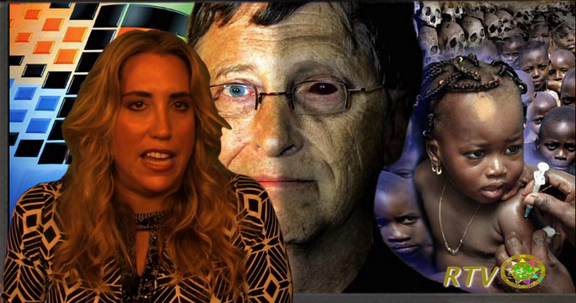 “Don’t forget depopulation,” Dr. Horowitz added, “as applauded by Bill Gates–the world’s leading vaccine donor. This gross criminal negligence that Ropeik and NPR demonstrates discolors the yellow press of the CDC, omitting and neglecting cost-saving and life-saving prevention of cancers and myriad autoimmune diseases caused by “approved” vaccines. The entire industry is “regulated” by dishonest officials at the FDA, or at vaccine makers such as Merck. 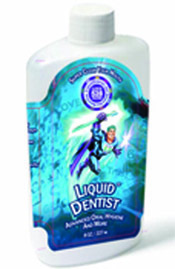 Their propaganda also omits and neglects the most important factor influencing infectious disease risks–information people should receive from the federal government about good hygiene, improving nutrition, and better hydration using purer and more alkaline water. For this criminal negligence, Dr. Horowitz calls the CDC, the Center for Disease Creation; and a lot more people are awakening to his truth. 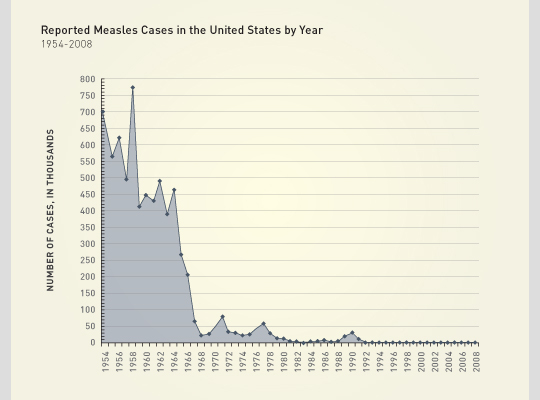 According to Horowitz’s analysis, this “measles crisis” is unfolding across the medically and mentally-compromised world to divert from at least two recent fiascoes: (1) the Ebola coming to America fright that drove huge vaccine industry investments; and (2) recent shocking data on the inefficacy of this year’s flu vaccine. “As if this year was significantly different from every year people get fraudulently persuaded to get vaccinated for the flu,” Dr. Horowitz criticized, exposing and explaining the commercial crime of hyping new vaccines for global salvation. The Los[t] Angeles Times lost their integrity too, in their article, “Just How Ineffective is this Year’s Flu Vaccine: CDC Officials do the Math.” Here officials boasted that 23 percent of inoculation recipients were safer from the flu than intelligent abstainers. The history of vaccination, and praise for it from grossly biased, arrogant, and greedy “experts” representing the status quo, sickly infected, drug-industry, plagued by conflicting interests, exemplified here by Dr. Stefan Riedel at the Baylor University Medical Center. The New Orleans operation was exposed as a cancer industry biowarfare front by author Ed Haslam in his book, Mary, Ferrie & The Monkey Virus. Omissions and misrepresentations in law is called FRAUD. The germ theory of disease, to the extent it neglects or omits the main factors sustaining healthy immunity, is history’s most deadly deception. The genetic theory of disease is, likewise, outrageously fraudulent. But the fear, fraud, and fantasy is fundamental to the medical-monopolists who decimate global populations at the expense of legitimate science, common sense, spiritual righteousness, justice, and needless human suffering. As a result, the best kept secrets in medical science remain concealed. The skyrocketing rates and varieties of auto-immune diseases, behavioral disorders, and cancers are blamed on we the victims, attributed to our “lifestyles” and inherited “genes.” At the same time, natural cures and preventatives are criminally suppressed. Another distorted reality and phrase “hashed” by drug industry is the phrase “population control.” To take the sting out of people being “controlled” by Big Brother, (dba, Big Pharma), this phrase was replaced with “population management” and “social engineering.” Likewise, the traditionally used word “vaccination,” prompting images of a frightening painful needle, was replaced with the word “immunization,” so people now believe both words are synonymous. “And not only does the drug enterprise defraud and destroy consumers, it kills alternatives,” Horowitz complained. He then pointed to the suppressed NASA-science that has kept astronauts healthy in space, free from infectious diseases and water pollution in space vehicles. 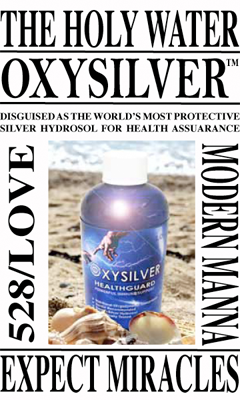 After being recruited by drug industry entrepreneurs to brand OxySilver to commercialize NASA’s health technology, Dr. Horowitz had the manufacturer add 528Hz frequency of sound, and 528nm of light in the reaction chamber during the manufacturing process to produce a uniquely resonating covalently bonded silver hydrosol. 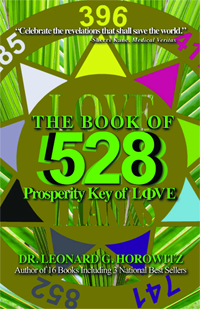 The concept of putting 528 frequency, known as the original Solfeggio musical scale’s “‘MI’ note” (short for MIracles), was Dr. Horowitz’s invention, producing the first nutraceutical designed to augment the power of prayer by “creating a double superconductor of sound and light–silver and water–tuned to the heart of nature–528 frequency. Your heart broadcasts this too during faithful prayer. The industrial applications of these revelations are mind boggling, and medical paradigm shatter! Natural healing with love in our hearts, resonating in our medicines, is an idea whose time has come to be celebrated, not suppressed, despite what the Pharmawhores have you believe about their medical magic, and your dependence on their sorcery. Dr. Horowitz and Ms. Kane are investigative journalists, peace activists, film critics, music industry visionaries, victims of counter-intelligence operations involving Google and YouTube, and the co-producers of the Hollywood Spin series of programs showing on Vimeo’s Revolution Television channel. The couple produced their own Revolution Television Network “RTN,” compelled by Google/YouTube’s illegal censorship of more than 150 videos produced by “The HOROKANE,” including ones viewed and shared by more than a million people. 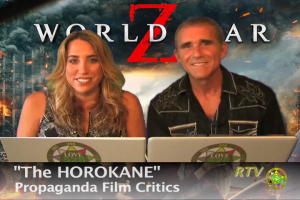 “The HOROKANE’s'” Hollywood Spin series features Harvard-degreed expertise in media propaganda analyses, and keen psycho-social perspectives, in support of world peace and consumer protection. Dr. Leonard G. Horowitz is the world’s most prolific, best credentialed, and most controversial drug industry critic. 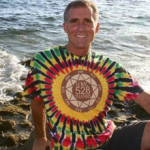 This music industry revolutionary, natural medicine expert, pharmaceutical industry whistleblower, and intelligence industry analyst has published eighteen books, five documentary films, and dozens of peer-reviewed scientific articles. After receiving his Doctor of Medical Dentistry degree from Tufts University, and a Master of Public Health degree from Harvard University, Dr. Horowitz went on to publish the first of three American bestsellers, Emerging Viruses: AIDS & Ebola–Nature, Accident or Intentional?. This book is largely credited by Centers for Disease Control (CDC) officials for prompting the global vaccination risk ￼awareness movement. Dr. Horowitz’s monumental text caused several governments to reconsider their “immunization” policies, and it became the center of political debate in 2008 when Barack Obama’s minister, Rev. Jeremiah Wright, credited Horowitz and this book for evidencing HIV/AIDS as a genocidal weapon of mass depopulation targeting Africans and African Americans courtesy of covert U.S. military contractors named in the book. Dr. Horowitz’s 2007 decryption of Leonardo da Vinci’s most famous drawing revealed the mathematics of LOVE: The Real da Vinci CODE; and his follow-up text, the most monumental of his 30-year career, The Book of 528: Prosperity Key of LOVE, reveals “God’s creative technology,” available for revolutionizing music, recording artistry, healthcare, environmental resource protection and restoration, along with civilization’s transformation as an “enlightened species” choosing peaceful sustainable collaboration versus murderous degenerative competition and lethal consumption. From Dr. Horowitz’s books, video productions, and documentary films, Hollywood filmmakers have drawn many ideas, including those expressed in the movies INCEPTION, I Am Legend, the X-File Movie, and several others. 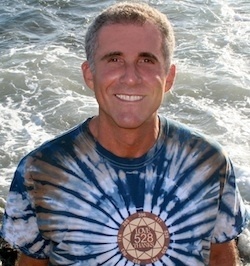 International acclaim and widespread acceptance of the doctor’s works revealing Solfeggio frequency physics and metaphysics has prompted the “528LOVERevolution,” which Dr. Horowitz and his partner, journalist and activist, Sherri Kane, has commercialized in the rapidly growing 528RadioNetwork.com and through his private television channel, LOVE528TV.net, formed following Google/YouTube’s censorship of more than 150 of the doctor’s video productions. 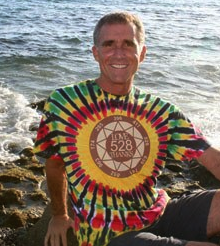 Dr. Horowitz’s and Sherri Kane’s 528Radio.com broadcasts “medicinal music” transposed into the “LOVE frequency” of 528Hz, that resonates the sound of buzzing bees, and 528nm of greenish-yellow light at the heart of rainbows, precisely why grass is green and fills the air with electron-energized oxygen vibrating in the energy of LOVE/528. 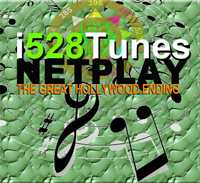 Dr. Horowitz’s film presentation, the 528KEY movie, provides an explanation of the great opportunity provided by the 528 frequency for advancing unprecedented benefits to civilization. Click to download Dr. Horowitz’s press-kit, 2016.